All leather fabrics need special cleaning methods to be rid of the soiling, grime and stains which they soak. You can take advantage of our professional leather sofa cleaning services which are at your disposal in Chiswick W4 7 days in the week. Our staff can revive the bright and fresh colours of your expensive sofas after providing the proper cleaning procedures on them. They can make sure you keep your leather sofas in perfect condition and use them many years without tearing or becoming worn-out. Use our services regularly to maintain your valuable leather sofas in great condition. Our staff check the condition and type of the fabric and choose the most appropriate cleaning solutions and products for it. They test the detergents in advance on an inconspicuous area. Our staff use dry foam or other detergents to wipe the dirt from leather sofas. The detergents they apply are recommended by the manufacturer of the sofa and are completely safe for its fabric. Our cleaners use microfibre cloths to spread the products on the sofa and wipe the excess quantity from it. After completing the sanitising, we apply suitable sealant on the sofa to keep it lustrous and protected from flaking. 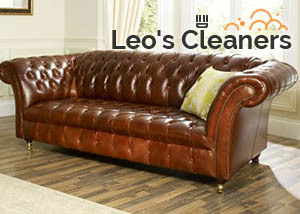 Reserve the leather sofa cleaning we conduct in Chiswick and the results will be even better than you expect. Our staff have sanitised various types of finished and unfinished leather and have the necessary skills, knowledge and tools to do the work properly. 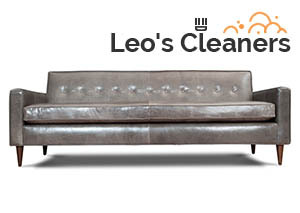 If you need professional leather sofa cleaning in W4 London schedule the service for a preferred day and time. Our cleaners will provide effective dry cleaning with impressive results which will increase the lifespan of your expensive soft furnishings.